Thursday, November 9, 1911: Nothing to write. A few weeks ago Grandma mentioned hulling walnuts. At that time I gathered some black walnuts and hulled them. I then spread them out to dry. My husband I have now cracked some of them and taken the nut meats out. 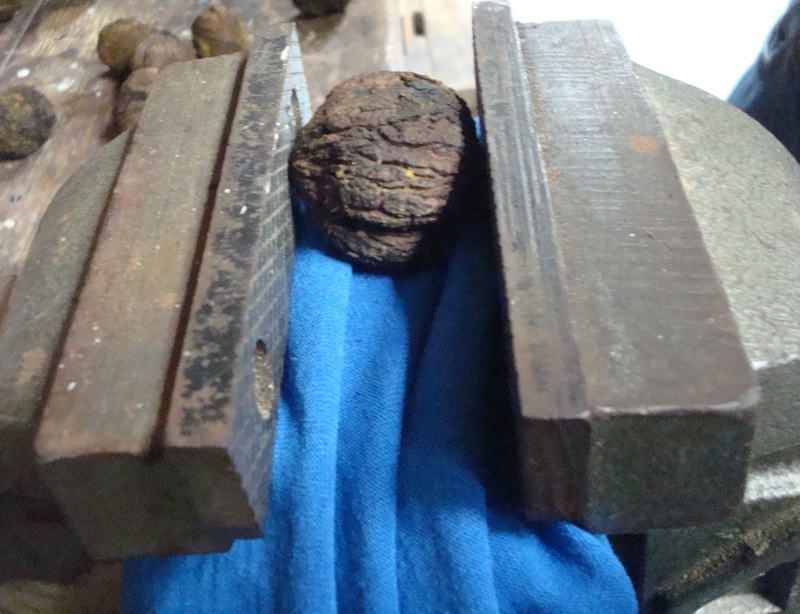 We put them into a vice to crack them–and had problems with the walnuts flying all over the garage. 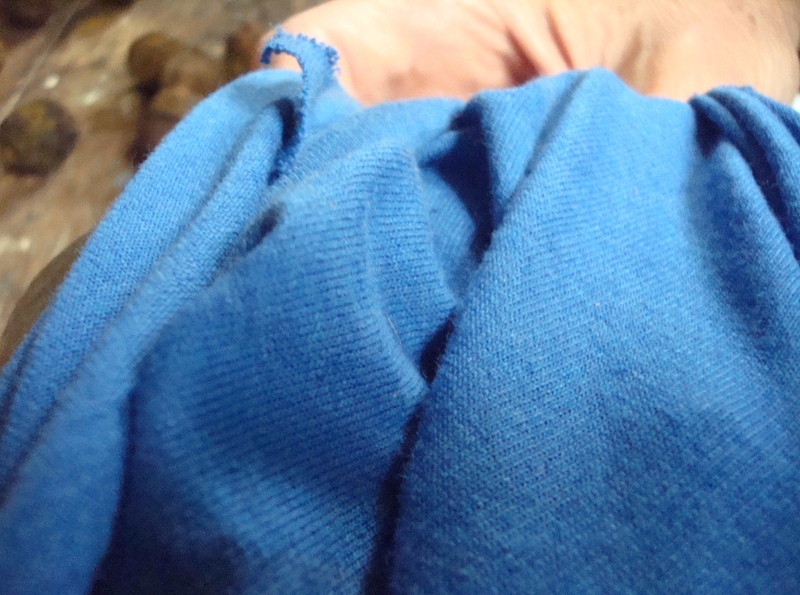 We then covered the walnuts with a piece of cloth before cracking. This worked really well at containing everything. Once the shell was cracked it was easy to get the nuts out. The walnuts tasted great–just like I’d remembered from my childhood. The flavor is more intense than grocery store walnuts–but it is really good. Posted on November 9, 2011 November 8, 2011 by SherylPosted in FoodTagged black walnuts. Stop back tomorrow to see what I did with the walnuts . . . I use a different strategy for getting the meats. 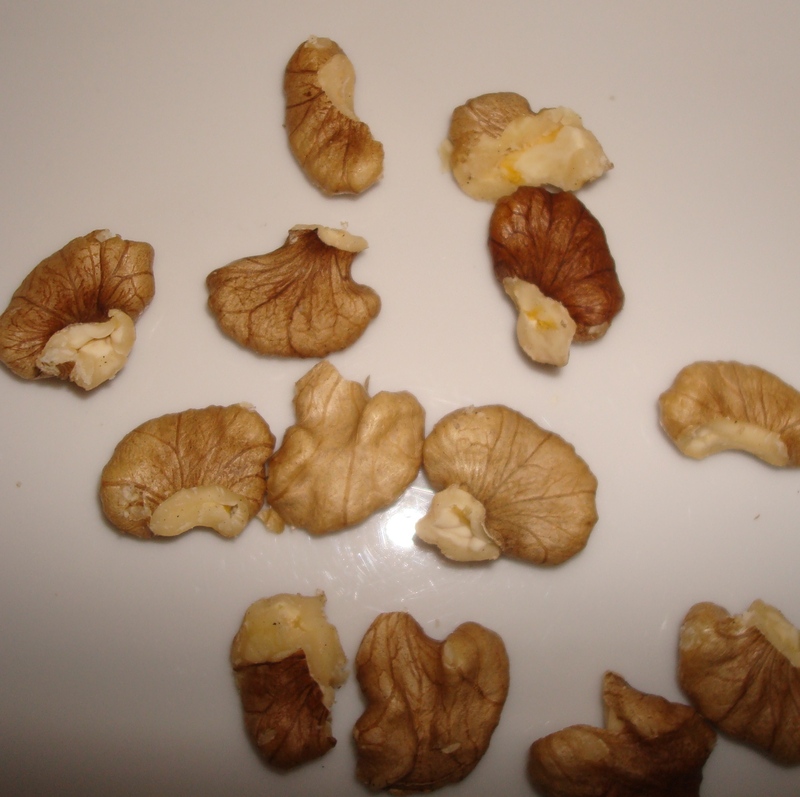 First I split the nuts with a straight clawed hammer Then I snip the shells with a snub-nosed wire cutter. There is a small learning curve as to where to snip the shells. I can crack about a quart an hour while watching TV and bet money there will be no shells in with the nuts. Best I can tell, I am about as fast as the smash a picker but end up with a better product. Thanks for the info. 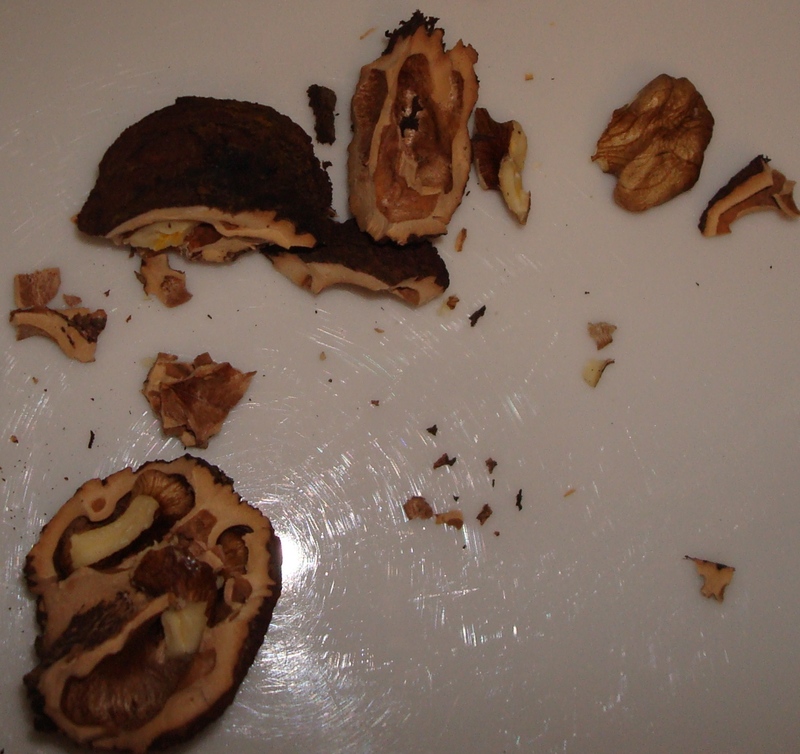 I sometimes have bits of shell in my walnuts. I’ll have to try your method when it’s time to crack walnuts this winter.